Are you struggling to feed the family now that the Summer holidays are well under way? Many parents rely on School Dinners to offer a cooked meal for their children during term time. Now that you have to provide every single meal, it can get pretty pricey. Here’s some tips on how to survive the holiday meal demands. I spoke to Kat Orman on the mid morning show at BBC Radio Oxford. Listen to the interview here…. This entry was posted in Press, Uncategorized on August 7, 2015 by carolinementzer. Gosh they are late this year. 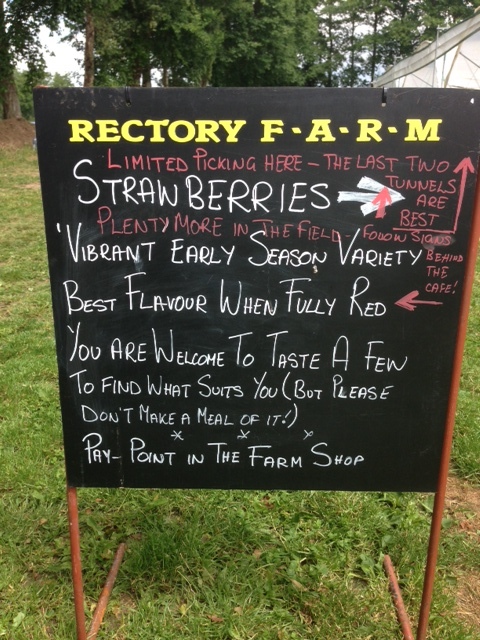 I remember picking loads of juicy strawberries in early May last year. But the cold weather and lack of sunshine means they’re all still rather white – and that would just give everyone a sore tummy. 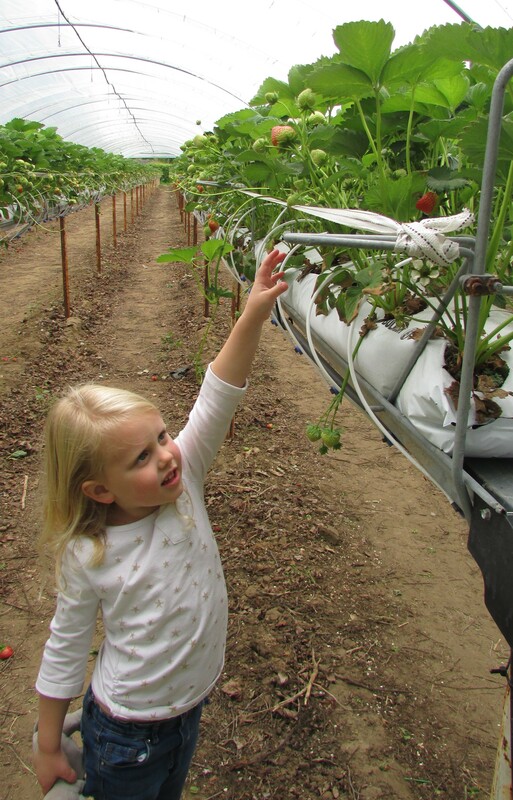 Thursday’s weather forecast is looking up so here’s hoping that its enough to turn those white strawberries a deep lovely red by the weekend. Failing that you can pick the last of the Asparagus (quickly, it’s coming to an end soon) and take the kids for a jump and slide on the bouncy castle in the cafe area. It’s a great way to pass and hour or two of time. Hours: 9:30 a.m. – 6:00 p.m. This entry was posted in Uncategorized on June 10, 2015 by carolinementzer. 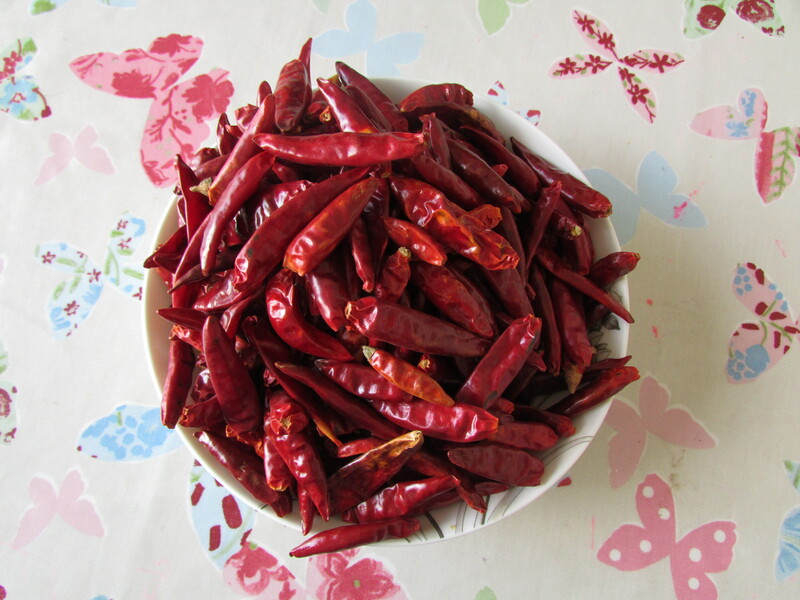 These dried red chillies are an absolute bargain at only £1.99 for 200g. I found them in Thong Heng, Oriental Supermarket on Windmill Parade in Headington, Oxford. They keep for ever and are absolutely delicious. In supermarket’s you get about 25g of dried red chillies for 80p. That’s a lot more expensive! I also love the Vietnamese rice wraps you can buy here too. This entry was posted in Uncategorized on March 2, 2015 by carolinementzer. 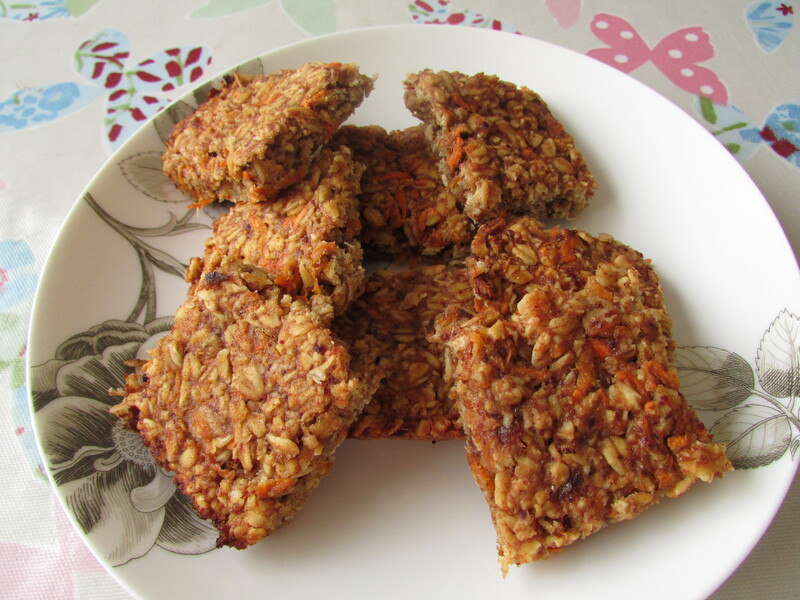 Take 200g of oats and mix with 50 grams of finely chopped carrot peelings (tip – give the carrots a good scrub before peeling so they are nice and clean). In a food processor blend 1 large or 2 small ripe bananas, 2 tbsp of butter (or peanut butter works well too), and 8 dates until a smooth paste. Stir the wet mixture into the dry ingredients until thoroughly combined. Line a 9 x 9 inch baking tray with parchment paper. Press down the oaty mixture into the lined tray until even and compact. Bake for 20 minutes on gas mark 5 / 190C until golden brown. Allow to cool before cutting. This entry was posted in Bargain Bites, Budget Breakfasts, Uncategorized on February 27, 2015 by carolinementzer. A trip to Millet’s Farm Centre in Frilford, Oxfordshire, is a fantastic day out with the kids. We had some friends staying this weekend and drove down there on Saturday to see the farm animals and falconry centre, play in the playground and have a walk in the woods. You can take a picnic or they’ve got a canteen serving basic home cooked food. There’s always some deals going in the huge Farm Shop where they sell local organic produce. I spied these beautiful pumpkins and stocked up on a few for the months ahead. Pumpkins keep really well in a cold dry store like the garage. They can be roasted with cumin, blitzed into a hearty soup or even make into some frugal pumpkin brownies. 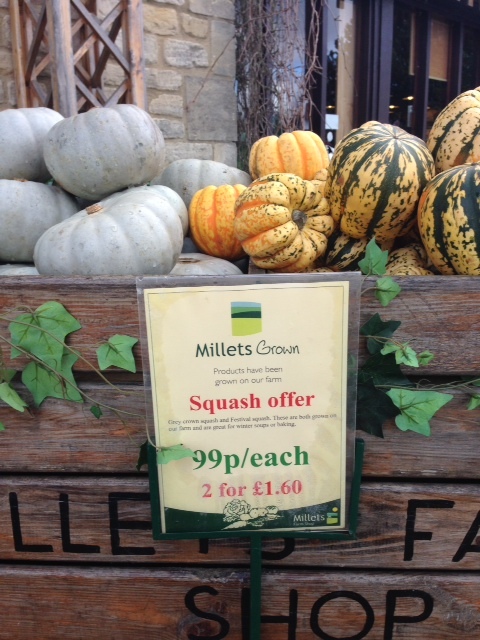 The small stripy kind are harlequin squash and taste particularly sweet with a honey like quality. This entry was posted in Deals on local produce, Uncategorized on February 23, 2015 by carolinementzer. Almost 50% of the total amount of food thrown away in the UK comes from our homes. We throw away 7 million tonnes of food and drink from our homes every year in the UK, and more than half of this is food and drink we could have eaten. There was an interesting article in the Daily Mail on Thursday so it became a hot topic for conversation. I spoke with Howard Bentham at BBC Radio Oxford on Thursday. Here’s the interview if you’d like to listen. This entry was posted in Blog posts, Press, Uncategorized on January 24, 2015 by carolinementzer. Hello, welcome to Feed a Family Oxford. 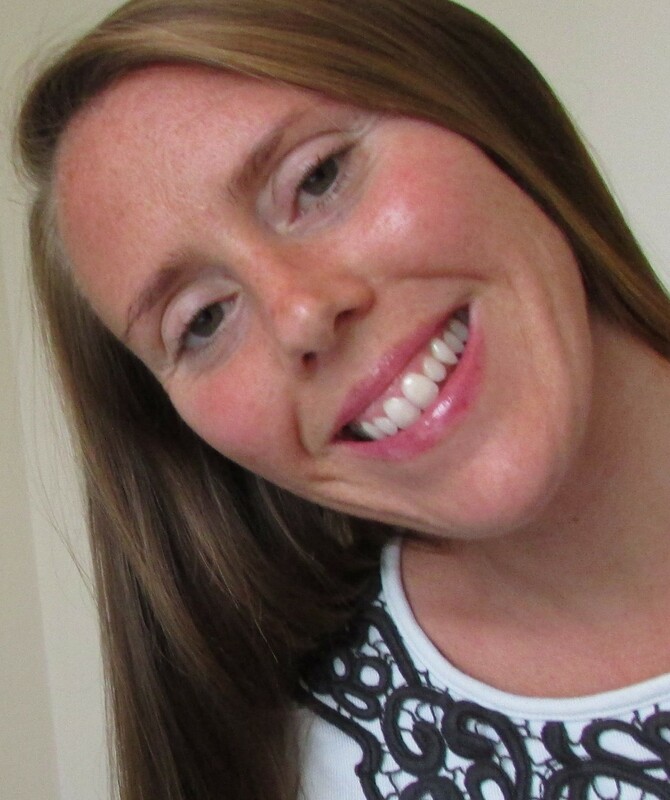 My name is Caroline Mentzer, and I’m a Nutritionist, Herbalist and mum. Starting in January 2015, I will be trying to feed my family for a total of £100 for an entire month. I will be aiming to use as much organic and local produce as possible, whilst meeting all the government RDAs (recommended daily allowances) of essential vitamins and minerals. I’ll be blogging about my experiences here and will write up my recipes online for everyone to see. The aim is to find out whether it is actually feasible to eat a healthy diet on a budget, whilst supporting the local community. It is a common misconception that farmers’ markets are expensive and for snobs. Whilst this can sometimes be the case, Oxfordshire has some of the best local produce in the country and there are many deals to be found that are often cheaper than supermarket chains. For example, Rectory Farm sells 25 kilos of organic potatoes of just £7. That’s enough for 50 family meals! I believe that healthy eating should be an integral part of family life. However, many parents do not have the time or resources to create healthy meals on a tight budget. Sadly, it is all too easy to buy low cost ready meals or go to fast food restaurants for a cheap and filling alternative. These foods contain high levels of salt, bad fats and sugar that contribute to high cholesterol, heart disease, Type 2 diabetes and obesity. In the UK we are currently experiencing an obesity epidemic. One in five people are classified as obese, a proportion which has tripled in the last 20 years. Furthermore, 1 in 3 primary school children is now considered overweight. The economic burden of which is estimated to cost the NHS billions in the future. In the recent Autumn Statement, George Osborne awarded £2 billion to save the NHS from crisis and modernise the health care system. However, unless we do something radical to improve the health of the nation, this money will simply not be enough. If we want to relieve the ever growing burden on the NHS, we need to get back to basics. The only way to do this is to educate children how to cook healthy meals. I was fortunate enough to learn by observing my parents. However, if this doesn’t happen at home, many children grow up without knowing how to cook. This is a shame as children love cooking, creating and learning! I believe that teaching all children at school how to prepare simple healthy family meals on a budget should be as important as learning to read and write. We need to instil a love and passion for healthy food from an early age to break the vicious cycle of bad eating, poor health and obesity. I’d love to hear from any local suppliers that would like to share info on their produce on this site. Equally, if you’re someone who keeps an eye on local deals or you have a favourite family recipe you’d like to share, then please get in touch. Email me at carolinementzer@gmail.com. Thank you! The average household in the UK contains 2.4 people, and the average family has 1.7 children (2013 statistics). We’re a family of three (my husband, myself and my daughter Melissa). However, it is generally considered that and average family has two children (whether they live with one parent or two). Therefore, all my calculations for this project are based on a family of four with two small children. If you have older or teenage children, portion size and budget will undoubtedly be larger. If you have a baby, it should be smaller. I hope that makes sense. This entry was posted in Blog posts, Uncategorized on December 17, 2014 by carolinementzer.